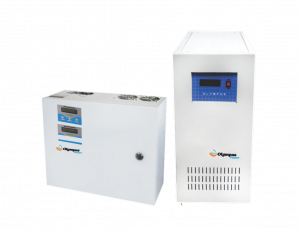 Advance MICRO CONTROLLER based SOLAR UPS / INVERTER products have been carefully designed to operate in both industrial and commercial environments. In commercial applications, our ups / inverter products fit according to aesthetically into the environment and perform reliably for years. Built-in MPPT / PWM Solar Charge Controller. Micro Controller / DSP Based smart controller design. Electronic Overload and Short Circuit Protection. Auto Changeover / Reset Feature. Audio Visual Indications (Status & Fault).